A chunky, charming board book of very first words to learn, from the popular Usborne Look and Say series. People. Colours. Animals. Things that go. Outside. Inside. Tree. Sun. Bird. 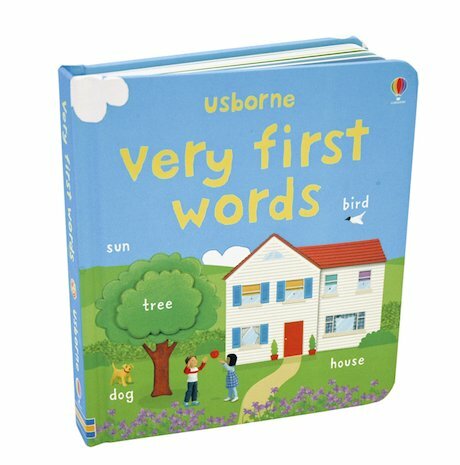 With vivid, simple images of everyday objects and really easy words to learn and memorise, this rainbow-bright book will charm the socks off tots and their parents. Spot all the things and say the words!